Body Bliss is a *Multi-Award Winning Medi-Spa and Skin Clinic that specialises in Paramedical treatments and prescription only products. We change skin – our philosophy is “How old you are is your business, how young you look is ours… naturally”. We offer professional skin consultations and advanced therapy for the treatment of pigmentation, premature aging, acne, scarring, sun damage and also pre and post-surgical care. 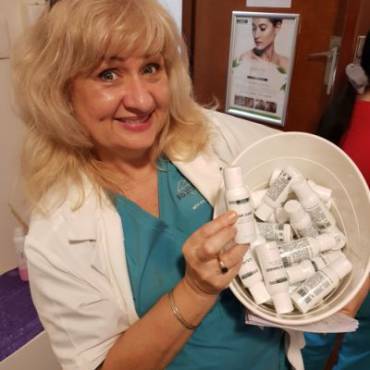 Whether you are looking for superior results to improve the look and fullness of your skin; to the specialised treatment of skin that has been effected by surgery, skin conditions and trauma, Body Bliss can help to balance and optimise your skins functioning and in turn create healthier, more youthful looking skin. We also offer luxurious spa treatments and beauty services so all of your needs are catered for. *In the years of operation Body Bliss has been a finalist in the Business Achievers Awards seven times and has won five times. We look forward to meeting and treating you at Body Bliss Medi Spa & Skin Clinic. We recommend you arrive 10 minutes before your treatment so you can relax and enjoy a beverage and the view while filling in your relevant forms. Unfortunately arriving late will limit the treatment time allocated minimizing the effectiveness, the treatment will end as scheduled and full price will be charged. We operate a busy Retreat, and appointments are precious. Please respect our time and if you need to cancel an appointment, do so 24 hours prior so we can re-allocate this time to another client. A 20% cancellation fee will apply if less than 24 hours notice is given. The options for payment are Cash, Eftpos, Visa and Mastercard. These facilities are located at the back of the salon. Any of our friendly staff can direct you. The most wonderful gift of love is one which nurtures the wellbeing of the receiver. Body Bliss gift certificates are elegantly presented and make the perfect gift for family, friends, clients, colleges and that someone special in your life. Gift certificates may be purchased for any of our packages, individual services and specific dollar amount. They can be purchased in person or by telephone, delivered as required. We recommend that you book appointments in advance in order to receive your preferred date, and therapist for your services. We require a credit card at the time of booking for treatments over 1.5 hours in order to reserve the appointment. If you do not have a credit card, you are welcome to stop by and pay for your appointment in advance.